When it comes to your skin, Dr. Sheldon believes in a “less is more" approach. Is BELOTERO® right for you? Beautiful Beginnings is proud to offer its clients BELOTERO BALANCE® Dermal Filler. Schedule a consultation with Dr. Sheldon to discuss whether BELOTERO is right for you. See client results in our Photo Gallery. Dr. Sheldon is a proud to be an Elite Provider of Radiesse. Arrange a consultation today to learn what it can do for you . 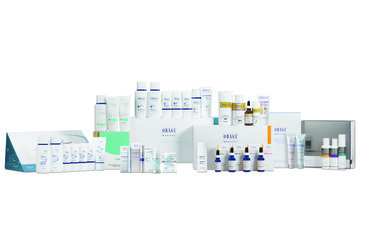 Click below to learn more about Obagi Skincare! Dr. Sheldon is always proud to offer the highest quality products. She introduces Obagi Skincare. An aggressive, physician grade anti aging regimen. Obagi is one of the only skincare lines that can slow aging all the way down to the cellular level. It's time for your skin to change! Does Obagi NuDerm help with blemishes, uneven skin tone, dark circles, wrinkles (eyes, forehead)? Yes! The Obagi Nu Derm Skin Transformation System, when used with a retinoic acid (retinol, tretinoin, retinaldahyde), is clinically proven to improve hyperpigmentation, skin tone and texture, skin laxity and the look of fine lines and wrinkles. Over 25 clinical studies confirm the efficacy of the Nu Derm System and the transformation that occurs in patient skin. Will there be a consultation to determine which products/plan I need? Yes, your skin care professional or physician will assess your skin condition and determine the appropriate skincare system and products for you. Are the Obagi products sold as a set or can I purchase individual products? The Obagi systems are sold in kits and can be purchased individually. We recommend patients start with the complete system of products. As you need to replenish products, all products are available to purchase, individually. Please call our office when you’re getting low on product so we can hold the needed product for you to pick up from our office. It is important to always purchase Obagi products from your doctor’s office or an authorized retailer. Unfortunately, misrepresented, expired and counterfeit products are being sold online by unauthorized sellers. These products appear to be from Obagi Medical, but they are not. Obagi Medical Rx products are only available through an authorized physician. The Nu Derm System last 4-6 months! You’ll only use a pea-sized (1/2 gram) amount of each of the products. How long does it normally take to get achieve noticeable results? Results vary between patients but patients typically begin to see improvements within the first few weeks of use. It is important to be compliant with the recommended system protocol. Some irritation, as your skin adjusts to the products, is normal; please contact us with any concerns. Your skin will complete 3 cellular turnover cycles during the 18-24 week system. Most patients start to see improvements within the first 6 weeks. According to clinical studies, 94% of patients were satisfied with the overall effectiveness of the Obagi Nu Derm System plus retinol at 24 weeks. The high patient satisfaction included overall facial improvement, reduction in brown spots/discoloration, firmness (laxity/looseness) and skin texture. Phase 1: Remove (Weeks 1-6) Products begin working to help promote skin cell turnover. The top layer of the skin is exfoliated, removing dull, old skin cells to help promote new skin cells. You may experience mild to moderate itching, dryness and redness. You may begin to notice a more even-toned appearance on your skin. Can I use the Nu Derm products on my chest/back? We will assess these areas of concern and make recommendations for Obagi products to use on your chest and back. It is likely you’ll be able to use the Nu Derm Skin Transformation System on these areas, but it is important you work with your medical professional to determine which products will provide you with the best results. Can I use moisturizer/oil on top of this regimen? This is a great and very important question. A moisturizer is included in your Nu Derm system and you are encouraged to use it as needed. It is important to use the recommended Obagi products as all clinical studies were completed using the Obagi Medical products. If you mix Obagi with other products, these products may inactivate the product’s active ingredients. Obagi products are designed to work together and we want you to experience optimal results! Use a pea-sized amount (1/2 gram) of each product avoiding the periorbital area (eyelids and under eyes). Only an approved eye cream or serum is satiable for sensitive eye area. Why consider an Obagi Peel....BRIGHTER, LIGHTER, TIGHTER is the answer. 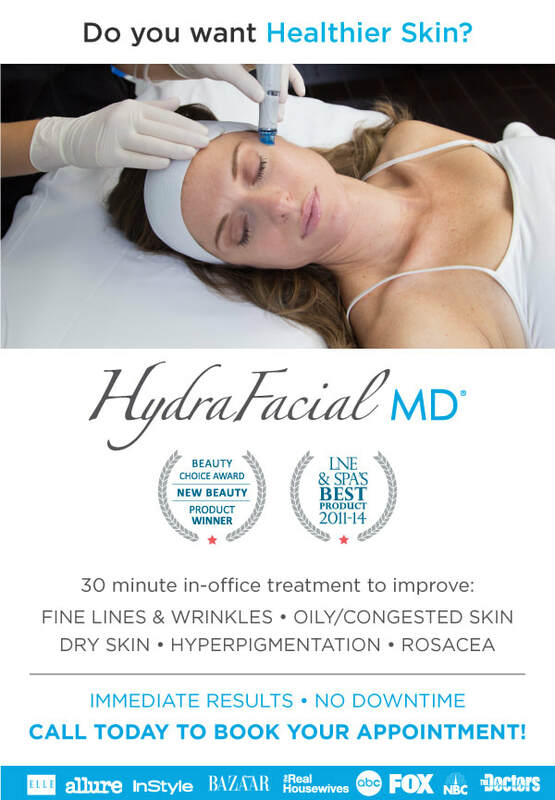 Enjoy results without the redness and downtime associated with most chemical peels. Blue Peel feature new technologies that brighten, lighten, and tighten. Restore your natural, youthful radiance! 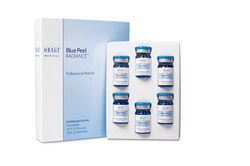 Obagi Blue Peel RADIANCE® chemical peel procedures help to uncover younger, healthy-looking skin. As the original Obagi Blue Peel®, this chemical peel uses a low concentration of TCA mixed with a special Obagi blue base.